After calling Saratoga Springs home for about a week and a half now, I can officially say on the record that this place is AWESOME. I’ve already posted a few photos of our Adirondack hiking adventures. I’m happy to share that this place is also the bee’s knees for lovers of local produce. Twice a week, I drive (it’s close enough to bike to, but I need to space to haul stuff home) down to the Saratoga Farmers Market to pick up fresh tomatoes, greens, cheese, eggs and whatever else I can fit in the Prius. 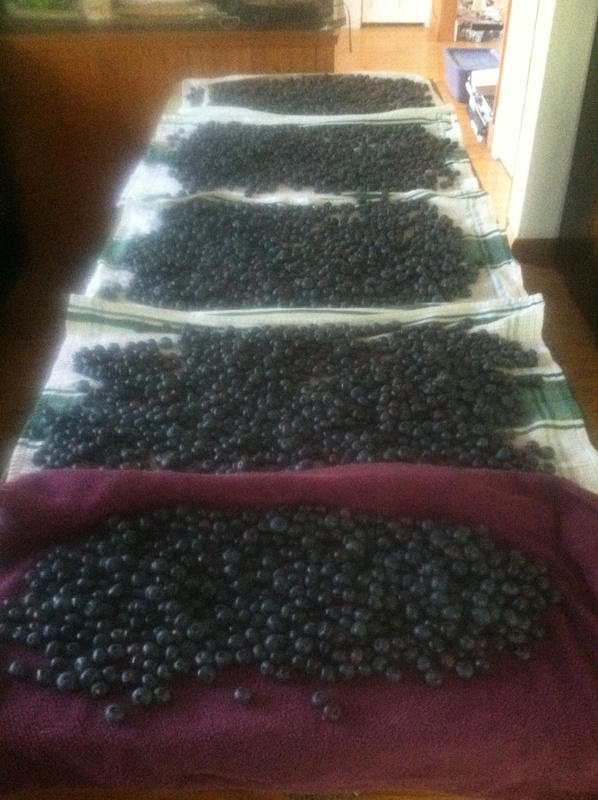 Our local you-pick blueberry farm, Winney’s, grows several varieties of blueberries. Several varieties of blueberries, people! Who even knew there WERE several varieties of blueberries? My favorites so far are the big, fat, sweet Dukes. I can stop eating them anytime I want. Also, in addition to the great hiking, the lake swimming here is simply heavenly, as I discovered last week on my first open-water swim workout in the area. 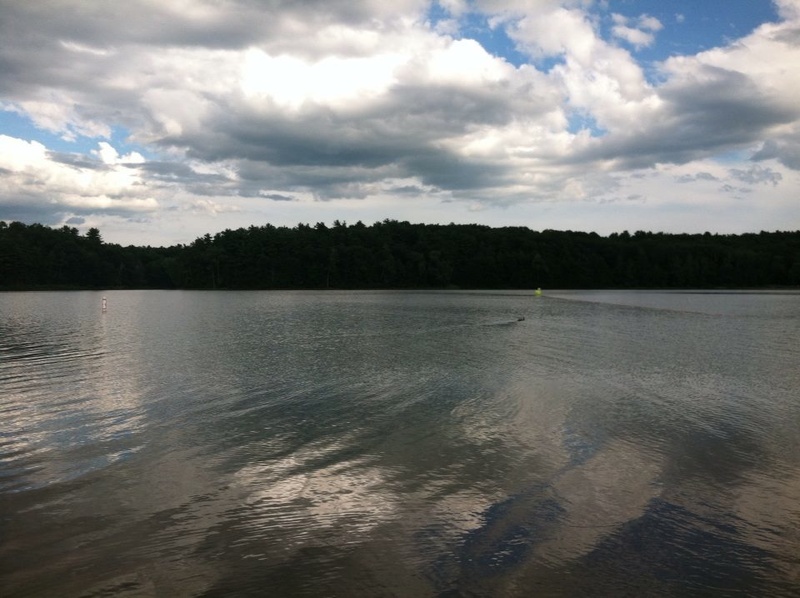 The Saratoga Triathlon Club hosts a swim every Thursday evening at Moreau Lake State Park, setting up a few buoys in the middle of the lake and running a workout just like an open-water swim race, with waves of swimmers circling the buoys for about an hour. I hung out with the swimmers making three laps for a total of about 3,000 yards. Can I tell you how amazing it was to see green mountain ridges every time I took a breath? The workout last Thursday was the seventh swim of the season, with a total of 13. Suffice it to say I plan to attend many, many more. Glad you’ve found it welcoming. It sounds like a little piece of heaven.